FUSION TV, Fusion Media Group’s cable network, today announced that it will serve as the presenting sponsor of the Philadelphia Film Society’s Fair Play Initiative, a project that will screen approximately 20 different films by filmmakers from historically underrepresented communities in the film industry, as part of the Philadelphia Film Festival. The Fair Play Initiative also tells stories that confront beliefs surrounding unjustly marginalized people and issues. This builds on FUSION TV’s commitment through its own programming to supporting underrepresented people and communities and elevating the issues that affect them. 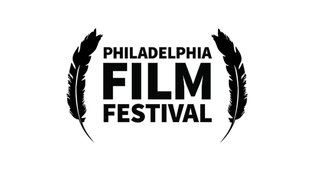 The Philadelphia Film Festival will take place October 19-29. Fair Play Initiative films that will be screened this year, as well as screening times, can be found here. A world-class film festival, the Philadelphia Film Festival represents a major contribution to the cultural life of Philadelphia and the region. The Festival presents more than 100 films, draws industry guests and panelists, and fosters an interactive community of film professionals and supporters. By presenting and designing programs with a variety of partners, the Philadelphia Film Society is able to create opportunities that reduce barriers to interacting with film, attracting new audiences to the Philadelphia Film Society and the film community at large. From going deep on cultural obsessions to telling impactful stories that inspire and connect us, FUSION is a channel that serves up a unique blend of programming that reflects the passions and shared values of America’s diverse youth. FUSION is committed to seeking out the next generation of creative talent and emerging voices through its Creative Board—a cross-section of marquee talent including award-winning actors, filmmakers, academics, and musicians—and its role as the founder of the Creative Thread Foundation; Henry Louis Gates Jr. serves as the Chairman of both. The FUSION cable network is a part of the Fusion Media Group (FMG), which has put some of the web’s most original and beloved brands under one roof including Deadspin, Gizmodo, Earther, Jalopnik, Jezebel, Kotaku, Lifehacker, The Root, and Splinter as well as The Onion, The A.V. Club, and ClickHole. FMG reaches over 100 million readers across its network of sites each month. Every October, the Philadelphia Film Society hosts the Philadelphia Film Festival which gathers more than 25,000 dedicated film lovers and scores of talented filmmakers for ten exceptional days of cinematic splendor. Throughout the year, PFS’s artistic team scours the world’s most prestigious film festivals - from Sundance to Berlin, Cannes to Toronto - for the year’s most highly anticipated, critically acclaimed, and thought provoking films. The Festival presents these films alongside exclusive events with actors, directors, and industry guests; VIP receptions; and much more that highlights Philadelphia as a place where film is flourishing. As a world-class film festival, PFF represents a major contribution to the cultural life of the city and region. It presents, on average, more than 100 films and draws industry guests and panelists and fosters an interactive community of film professionals and supporters. By presenting and designing programs with a variety of partners, PFS is able create opportunities that reduce barriers to interacting with film attracting new audiences to PFS and the film community at large.